Whether you call it Licton Springs, North Green Lake, North College Park, or that magical portal in-between Green Lake, Greenwood, and the Northgate mall - we are all proud to call it home. And, apparently, according to a new report from Redfin, we are not the only ones who would like to do so. 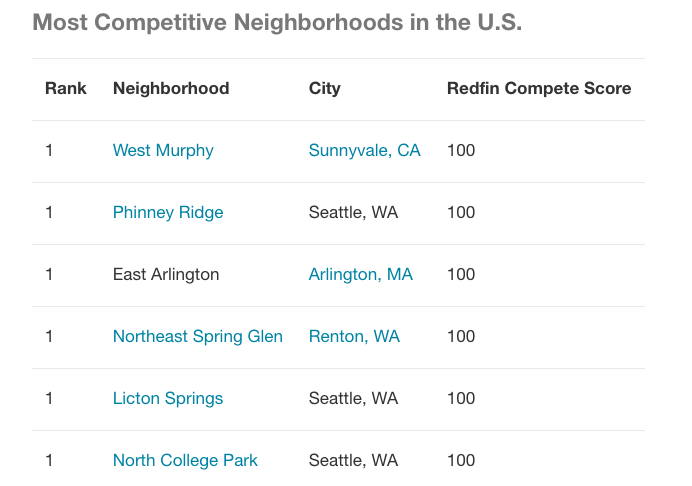 Licton Springs showed up on Redfin's report as the #1 most competitive neighborhood to buy into, in not only Seattle, but the entire United States.